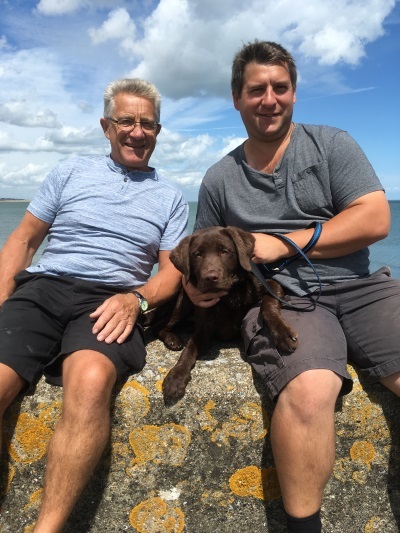 We are Roger and Ross Mills (and sometimes Boston the Chocolate Labrador) we run Coal4Kent a small independent coal and log merchant based in Faversham. Between us we have over 40 years experience in the solid fuel industry stretching back to to February of 1980. We have experience working in all areas of the business from delivery driver and tea boy to transport manager. We are passionate about offering a great delivery service where the customers needs come first. We take great pride in offering a friendly and professional service with great prices to anywhere in Kent. We offer a traditional delivery service where you can always talk directly with us without going through call centers. We will arrange a day and time for your delivery that is convenient with you when you place your order. Your delivery will be put where you want on your property, either tipped into your bunker or neatly stacked. The phone is always on and we look forward to hearing from you.